Lumex Versaframe Toilet Safety Frame is designed to add support and enhance safety while toileting. It has a weight capacity of 250-pounds. 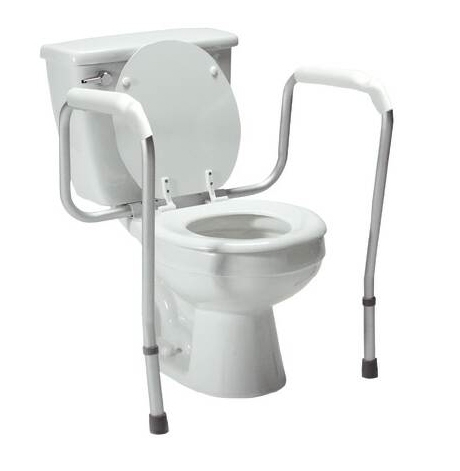 The anodized aluminum frame is lightweight and sturdy and quickly secures to most toilets. The contoured waterfall armrests are designed to add comfort and provide an excellent gripping surface.